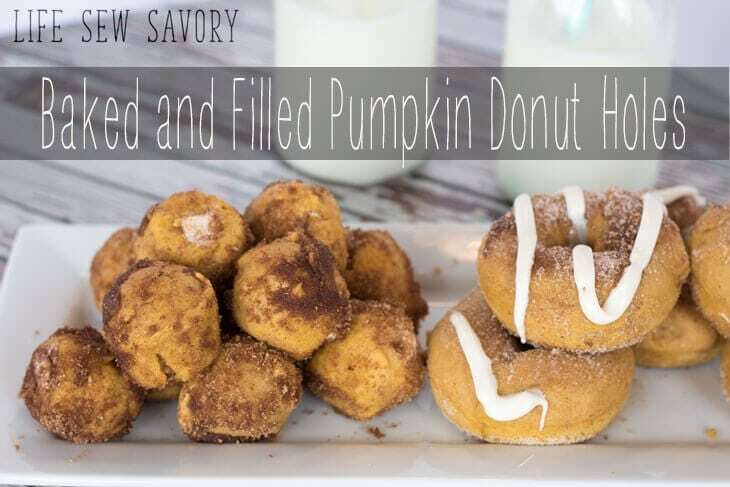 These filled pumpkin doughnuts are the perfect fall treat. 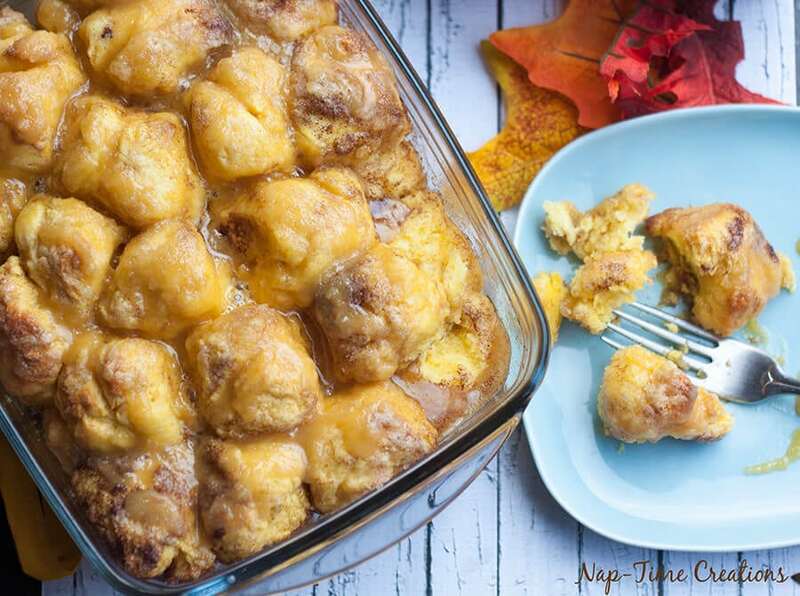 I shared this recipe several years ago when I started blogging, and today have updated the post wiht a few recipe tweaks and mouth-watering photos. 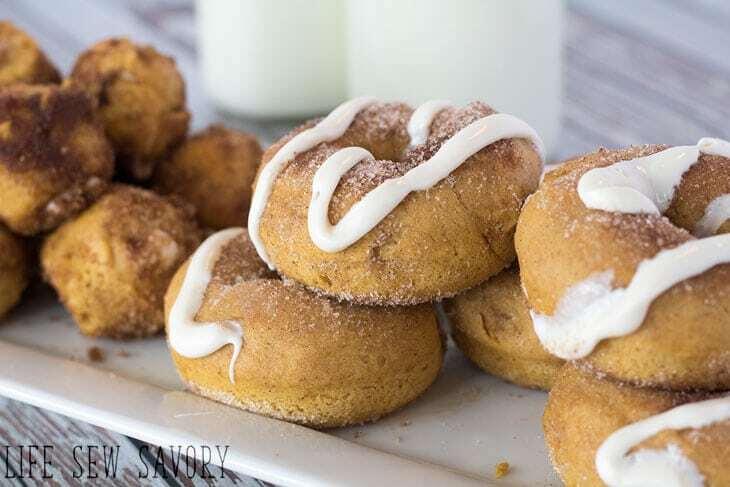 Not only are these donuts baked, but they are FILLED with creamy pudding. You can make these baked filled doughnuts in a mini muffin tin OR a baked doughnut pan. 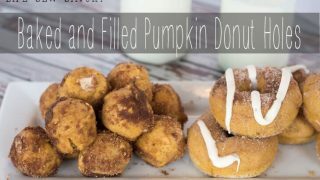 I didn’t fill the regular shape donuts with cream, but I did put some frosting on top, so both pumpkin doughnut versions are amazing. I make a lot of homemade food, but I’m not as much of a baker, so my supplies are easy to come by. After you bake the doughnut holes, use a large straw to poke out the center. I filled a small zip baggie with frosting and cut the corner off. Use the open corner to squeeze frosting into the hole. A perfect filled center! Melt some butter and prepare the cinnamon mixture. Perfectly delicious! 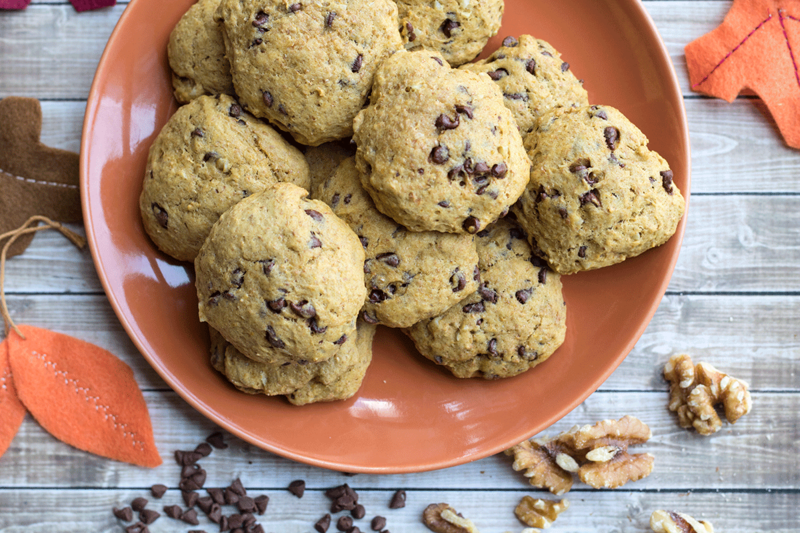 These are best served fresh and warm, but they make great leftover snacks too. 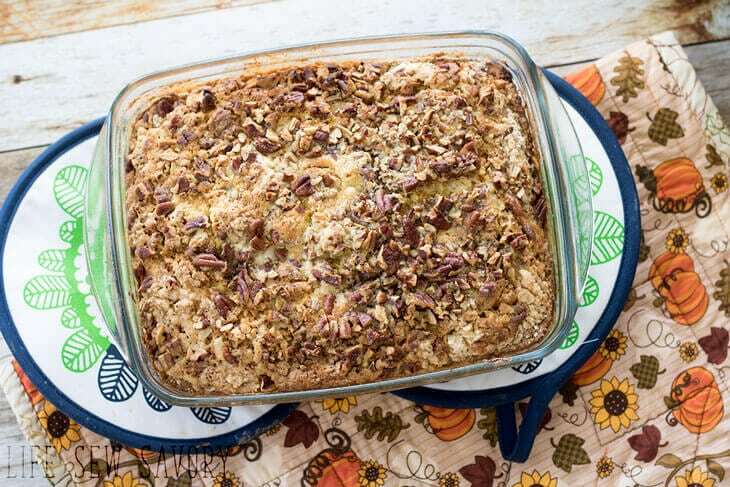 Here’s the recipe for your baking pleasure. Preheat oven to 350F and spray a mini Muffin Tin - set aside. Add the dry to the wet and stir until just mixed, do not over mix. 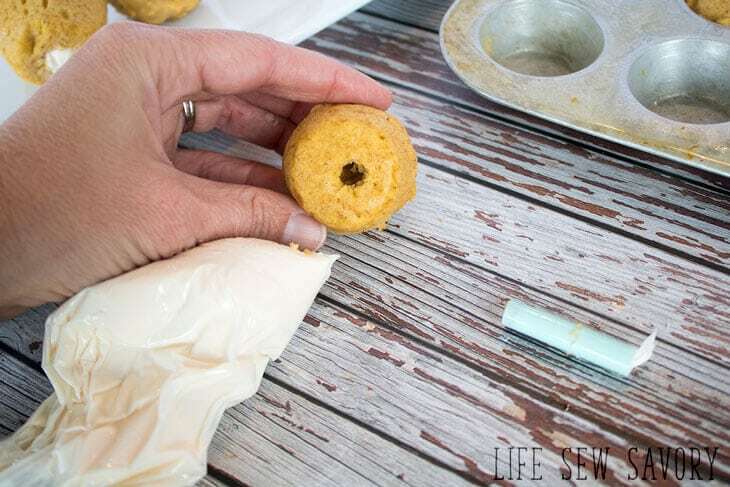 Scoop into the mini muffin tin/baked donut pan and bake for 10-12 min until toothpick comes out clean. 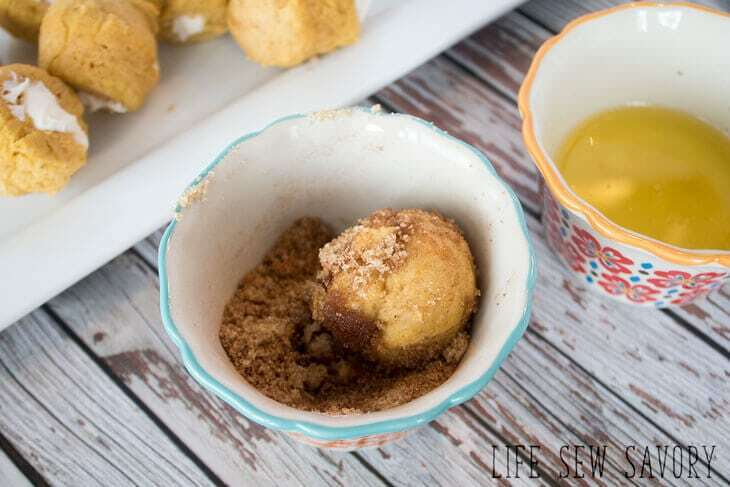 While the doughnuts are baking, melt the butter and mix the sugar and cinnamon. Cool the baked Doughnuts for 2 min, then dip in sugar and roll in cinn/sugar. Serve warm or keep at room temperature. 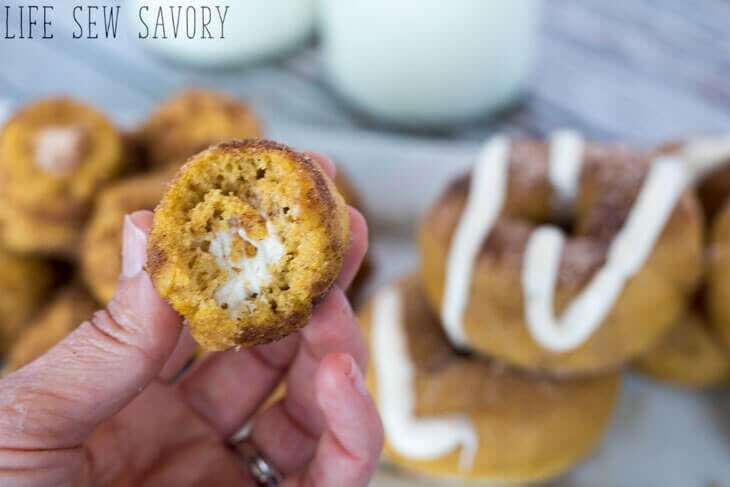 Oh my, those pumpkin donuts look amazing. Love the idea of putting a filling in them. Thanks for sharing your twist on it. Thank you for featuring my pilgrim hats! Those donuts looks sooo good! Thanks for hosting! I posted a recipe for cream of potato soup and a profile for canned salmon, a great, budget-friendly solution for good eating. 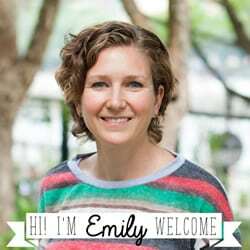 Emily, I have shared Apple Coffee Cake and Chocolate Crinkle Cookies. Thank you for hosting! I shared my Cranapple Sauce., and a video for making salmon patties. I also shared an article about the Challenge part of the Grain-Free Challenge and the Win for the Raw Milk Freedom Riders! We love joining in on your party every week! Thanks for featuring our Feta Dip! Emily, thanks for hosting! Off to check out some links! Filled donuts…how clever! Those look awesome. Come over and link up to Must Try Mondays. I’d love have you. I shared my Sesame Chia Green Apple Salad. 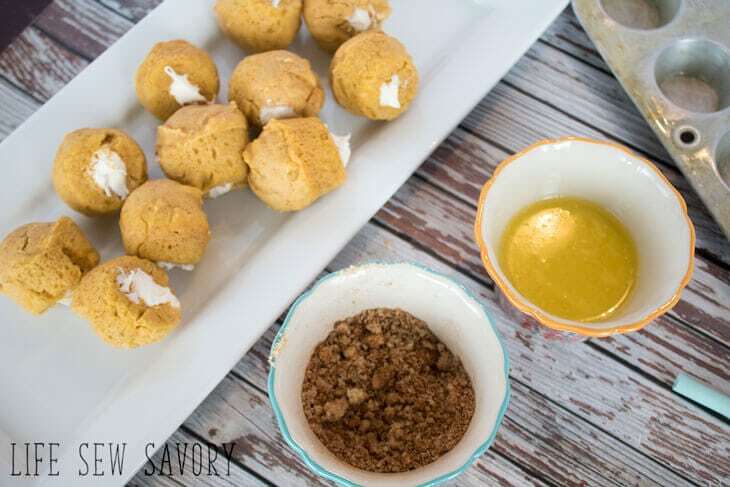 Wow – those look so good – I am craving one right now and its way too early for sweets! Thanks for hosting. Thanks for hosting! 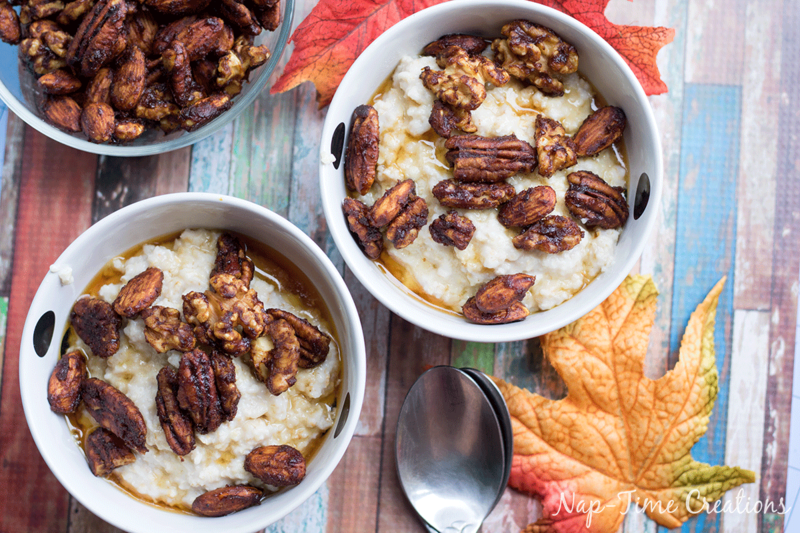 This week, I shared my Apple “Muesli” recipe. I love making this for breakfast. It’s fast, filling, and nutritious. So many great recipes. I’ve already got a few bookmarked! Great, great party as usual. I love your doughnut idea. I will have to make these sometime when there are enough people to eat them all up. Today I bring a recipe for a quick and easy fudge that can be made in many flavors. Thanks for hosting again. Have a wonderful week. Looks like a fun treat! Thanks for hosting! I think I could easily eat way too many of those donut holes! Thanks for sharing at the What’s for Dinner Party! These sound amazing. Thanks for linking up to More the Merrier Monday. Can’t wait to see what you’ll be linking up next week. Oh my, these look incredible! Emily these look and sound incredible. Thanks for sharing at Fiesta Friday – don’t forget to link up so your readers can come and join the party too!